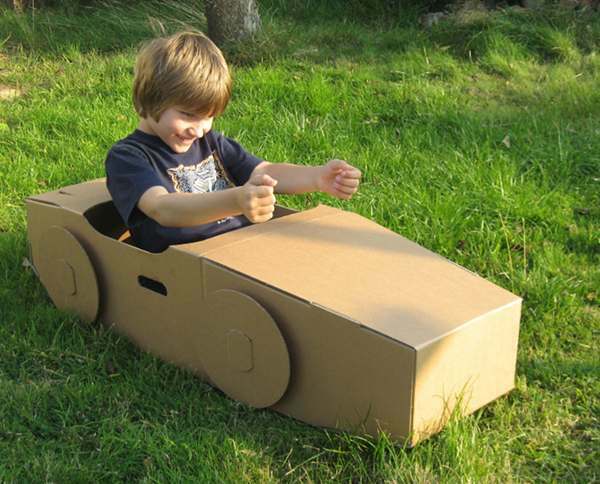 Paperpod use recycled, super-sturdy cardboard to make toy houses and furniture. Offering five different style options for the playhouses, they come flat packed, are light, easily transportable, collapsible and environmentally friendly. 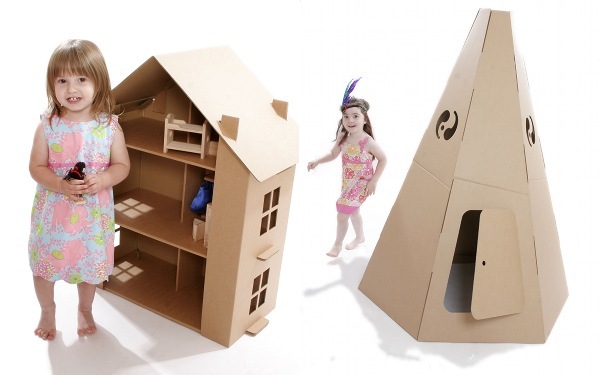 Choose from the traditional Playhouse and Den models or go for the fun Rocket, Teepee or Paperpod designs. All models come in plain beige cardboard which gives you a great opportunity to do your own decorating. They’re a super idea for a party — just give the kids paint, brushes, crayons, felt markers and let their imagination and creativity run wild or suggest a theme they can work to. Have them sign their name and you have your own customised playhouse! The real corker for parents — just collapse it down and put it away once you have finished. When they have grown out of it, either pass it on to a friend or put it in your recycling bin. Paperpod has just launched in Australia at the Sydney Organic and Green Show and will be available next month, just in time for Christmas!